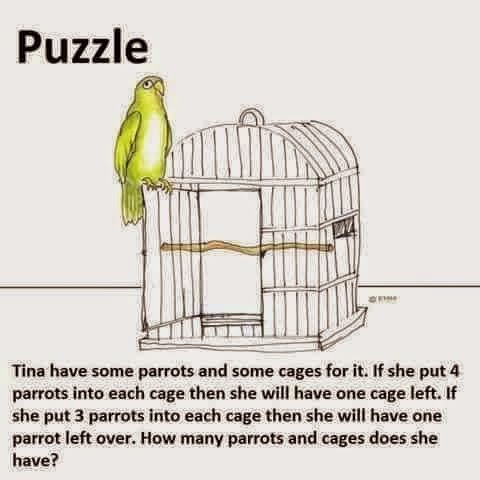 Tina has some parrots and some cages for the parrots. If she put 4 parrots into each cage then she will have one cage left. If she put 3 parrots into each cage then she will have one parrot left over. How many parrots and cages does she have?